Amfacialplastics.com has announced that customers will now be able to book appointments on their website via a new appointment booking feature. My Goal is to Give Patients the Natural WOW Factor. Amfacialplastics.com has announced the release of a new appointment booking feature that will allow patients to schedule their appointments for facial plastic surgery via their website. LAD Solutions has been hired to announce the launch of the new technology so that patients are aware that they now have more options to book an appointment to see a facial plastic surgeon in Beverly Hills. AM Facial Plastics says that they have decided to make this feature available so that clients can book appointments with ease and on their terms instead of having to make sure that they make an appointment during business hours or by having to take time to call in and speak with a representative at the company. The new feature will make it possible for patients to book appointments at anytime day or night as well as receive a reminder about their booked appointment. The new appointment booking feature has been set up via ZocDoc and will allow patients to select a time, date and receive an email that will confirm receipt of the appointment details. Patients will then have an option to be reminded of the appointment instead of having to rely on keeping track of the appointment themselves or having to worry about missing a phone call from a representative calling to remind them of the appointment. Amfacialplastics.com is the website for Dr. Arash Moradzadeh and he is trained in both ENT/Head and Neck Surgery as well as Facial Plastic and Reconstructive Surgery. The featured services that he offers via his site include facelifts, rhinoplasty and eyelid surgery. Dr. Moradzadeh also performs a variety of noninvasive procedures which include administering Botox, Juvederm, chemical peels and more. Dr. Moradzadeh has also added a new procedure to his practice known as ultherapy which is an ultrasound facelift. This technology is relatively new and has been considered as a revolutionary treatment. Dr. Arash Moradzadeh has requested that if any patients are interested in any of the new treatments that they contact his office for a consultation using the new appointment booking service. For any appointments booked via the appointment booking service Dr. Moradzadeh will be available to attend to them within his normal schedule. Patients with any questions about the new service can contact the practice via phone or via the website. About Amfacialplastics.com: Amfacialplastics.com is the website for Dr. Arash Moradzadeh. 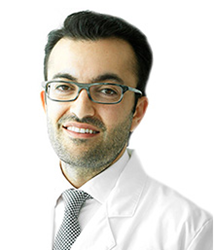 Dr. Arash Moradzadeh is a graduate of UCLA and received his medical degree at the University of California San Diego. He received his training in ENT at Washington University Medical School. Today, he manages his practice in Beverly Hills and it revolves around providing facial surgery both invasive and non-invasive to wide range of patients. To request a consultation, visit http://www.Amfacialplastics.com.